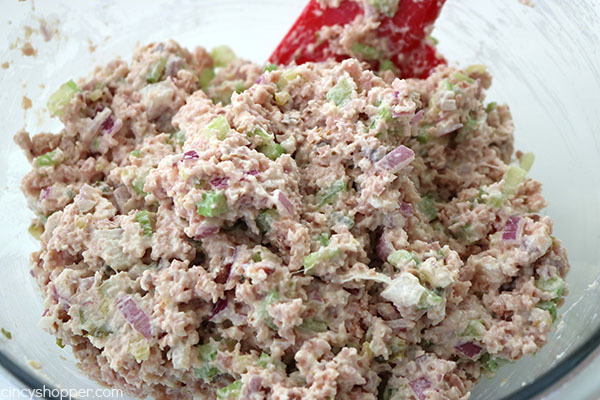 This Ham Salad Recipe is a great use for your leftover Holiday ham. Perfect for making sandwiches or wraps. Many of you will have leftover Easter Ham just like we did. 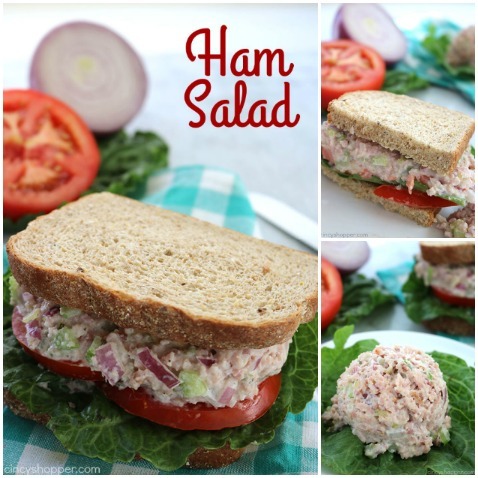 Grab your ham and make this super simple and delicious Ham Salad. 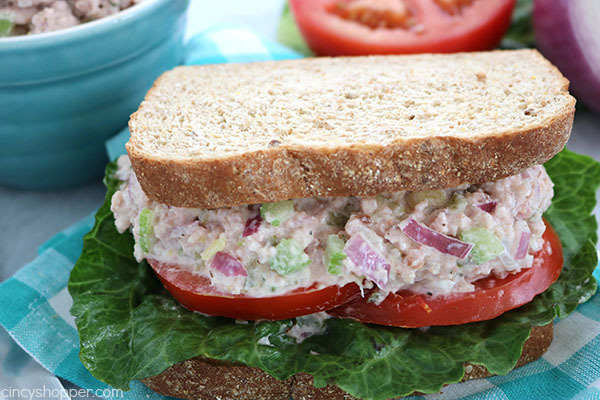 Spread it on your favorite bread for a yummy sandwich. Feel free to add on some fresh tomato and lettuce too. YUM! 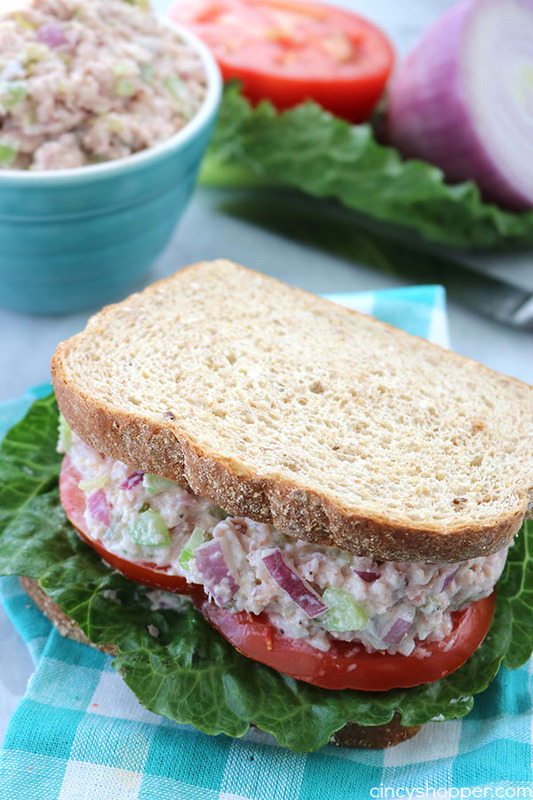 Since the weather has been warmer, we have been eating quite a bit of cold sandwiches for our quick and easy dinners. 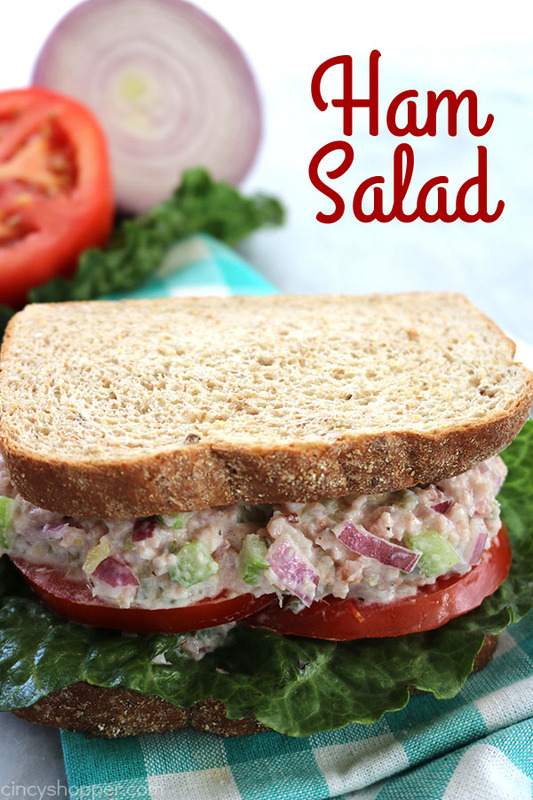 We made our CopyCat Panera Tuna Salad last week. I just serve up our sandwiches with chips and a pickle spear. Oh, I use paper plates too, lol. No real dishes to wash and I have no real mess to clean up. PERFECT. 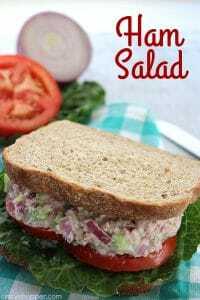 This week, I used our leftover Easter eggs to make our CopyCat Starbucks Egg Salad Sandwich… My family loves that stuff. 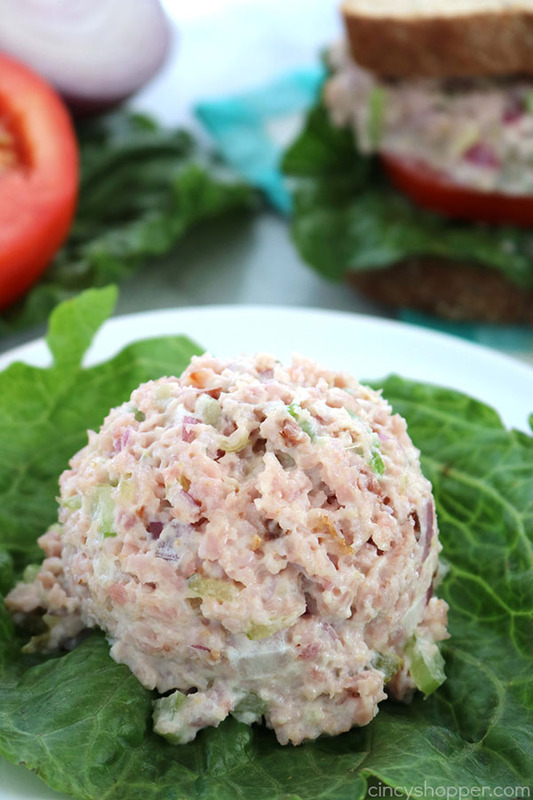 Also with our leftover ham, I made this delicious and easy to make Ham Salad. I find it great for sandwiches. This salad was perfect. I love how simple it was to make. 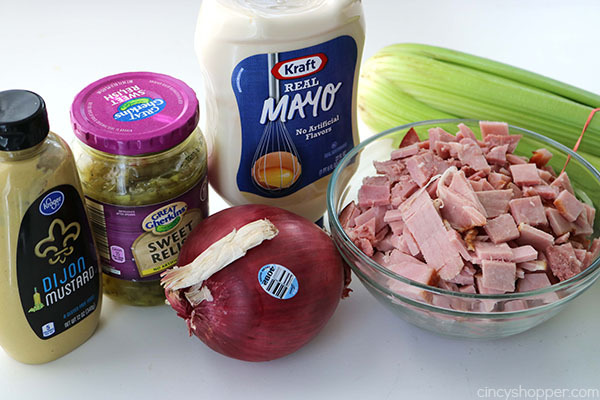 I plan to make it all summer long with the store bought cubed ham. We often make a ham for Sunday dinners too. We never finish the whole ham so I like using the leftovers to make additional recipes. 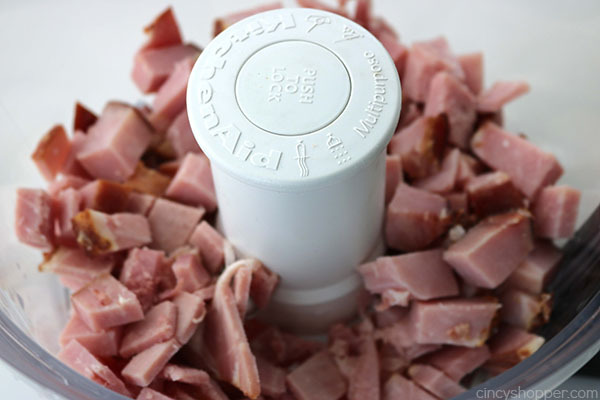 Cut ham into pieces small enough to fit in food processor. Pulse until it looks like crumbs. 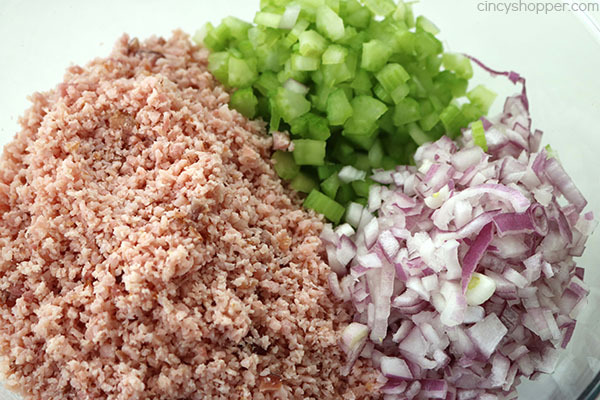 Place ham, celery and onions in large bowl. 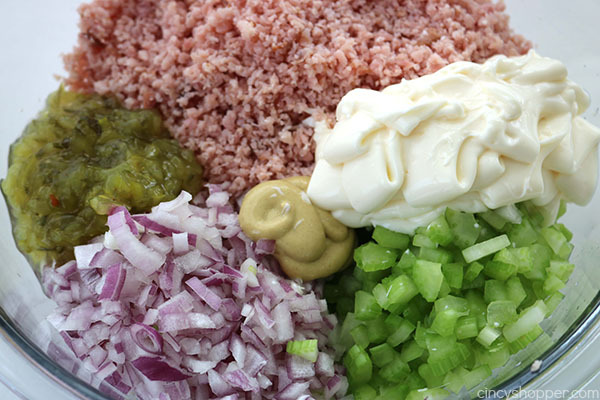 Add mayonnaise, mustard and relish and stir until well blended. 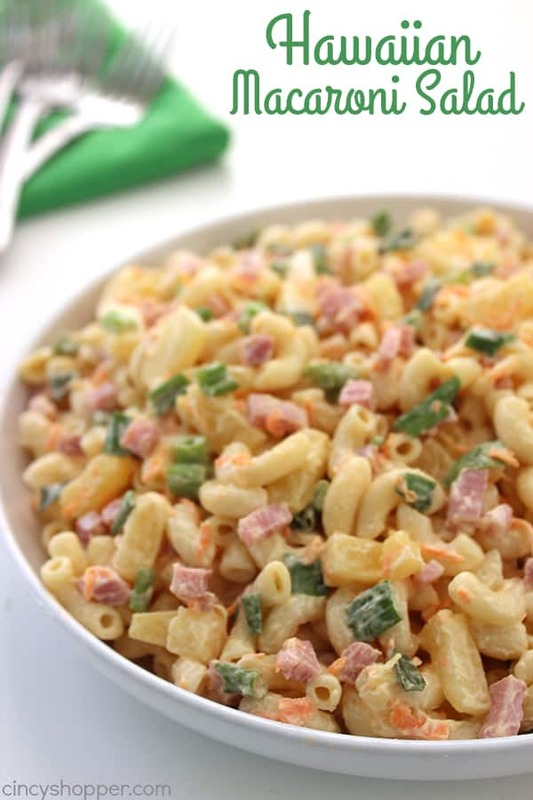 Looking for other leftover ham recipes? Be sure to see these other ideas that I have shared…. Ham, as show in the pic with it turned into ‘rumbs and still in the food processor bowl and nothing else added yet, is great mixed with eggs and scrambled. YUMS! 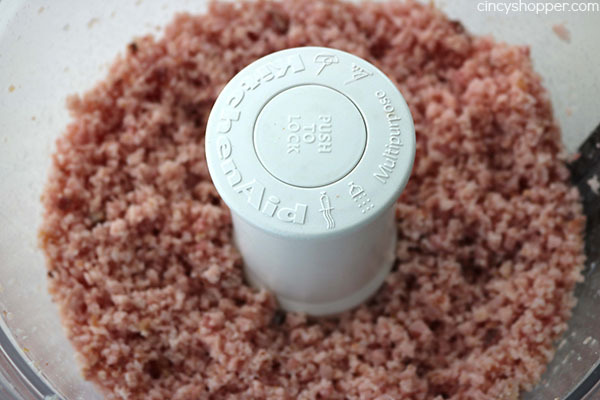 It can also be made into Ham Hash! Thus making used of leftover potatoes. 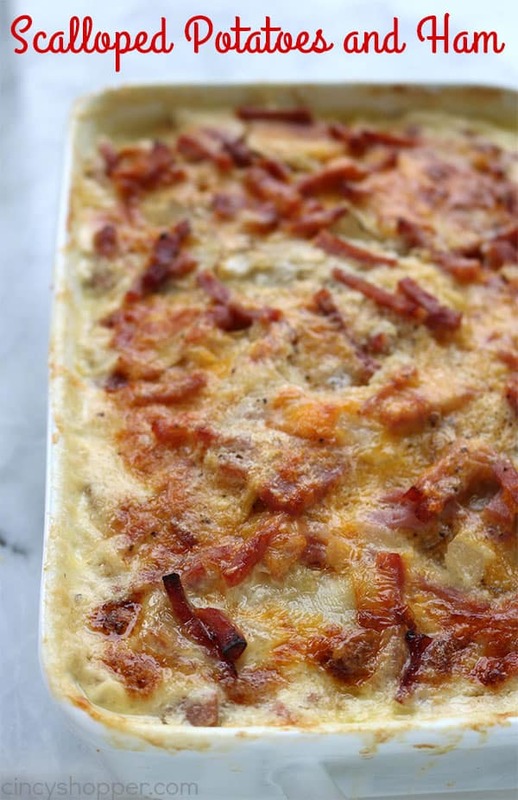 My Father would add blops of thick dry mashed potatoes in the cast iron skillet with diced onions, salt & pepper stir it all together until crispy than slap it on a plate with a couple of eggs & YUM! Add toast & a feast for all.